Ghostly Travels: Moon Phase Calendar Added! Before I go into the next investigation/event that I attended, I wanted to let you all know of the addition to this blog, the Current Moon Phase calendar. No, seriously though, as most may know, the Moon phases effects the tides and women's cycles and it can also effect moods as well. There is power in the Moon phases and many cultures will follow the Moon cycles and celebrate it and they will collect herbs and put things together by the light of the Full Moon. For the paranormal realm, it adds that spooky mystique and it adds power to whatever is going on. Heightening the senses and charging the atmosphere with it's silvery glow. If you read tarot, the best times for doing so, are during the phases of the New and Full Moons. It will be one of the most strongest times for divination. Besides, it will help you to see while out there in the dark, illuminating that spectral shadow with a natural light, a reflection of the sun. 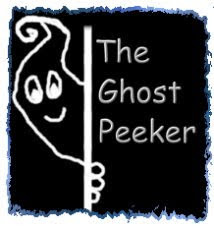 So I've added it here as a guide and tool, something to be aware of when you fancy a trip out to investigate that local haunt!